Everything We Do Is Amazing! Our field rates include a private field, with an event coordinator, who will facilitate several different short games for you, about 8 minutes long, and then we rotate. You just sit back and have fun! It's organized and awesome, even watching is hilarious! 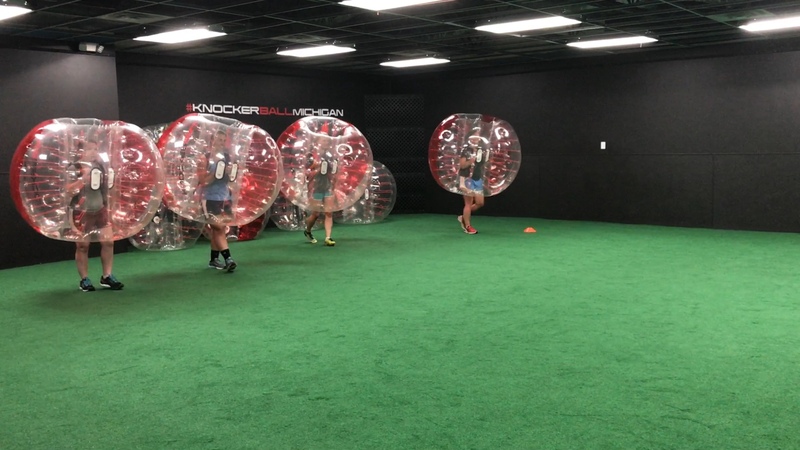 We have different sized Knockerballs, so anyone ages 5 and up can play! 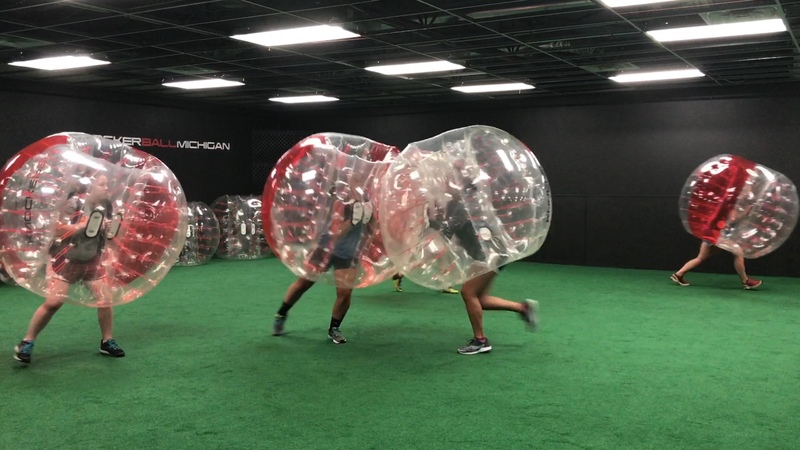 It's extremely fun for adults and kids. And with a private field, you pick who you are playing against! We play music, games, and host your entire event! It's a blast! Locations in Livonia & Saline! 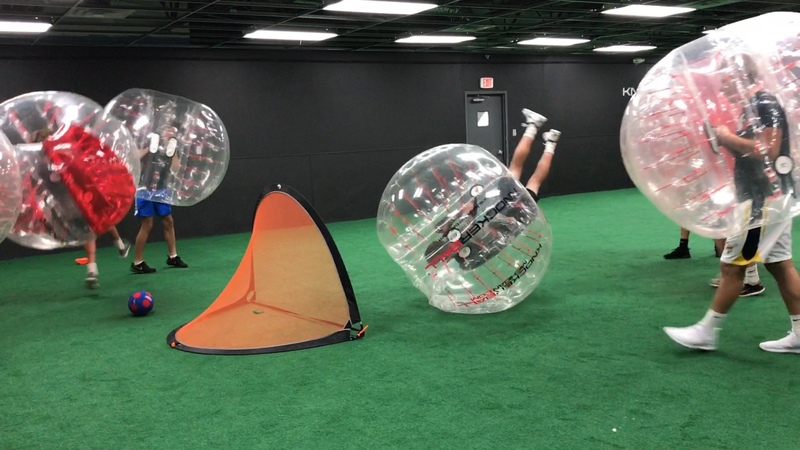 It's fun for Adults and Kids! As long as you're at least 5! This video is a tour of our Livonia building given by 8 year old Brady. Our Livonia field is located right off of 275, at 38741 Ann Arbor Rd. Livonia MI 48150. Brady, here aged 9, gives an amazing tour of our newest indoor facility in Saline. While this is amazing for kids, this is amazing for adults, too. In fact team building, holiday parties, bachelor and bachelorette parties are only a few of the other events we host besides having the best birthday party you've ever been to. Field time is very organized and structured. 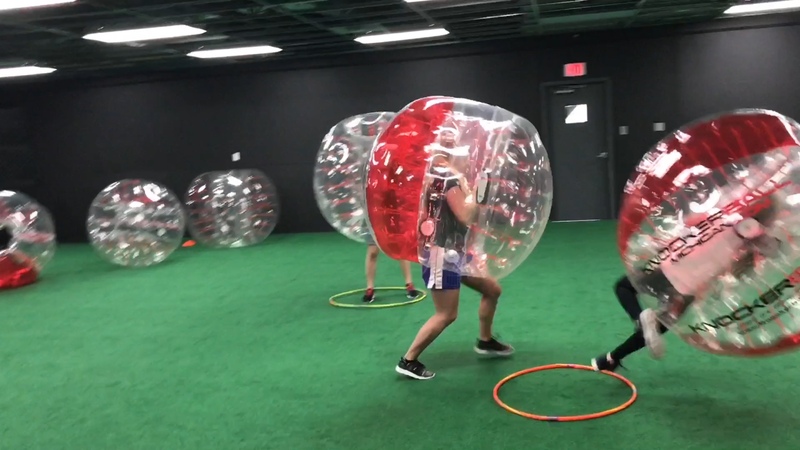 Pricing includes an event coordinator who not only shows your group how to use the equipment, but will facilitate several different games, about 8 minutes long, and then we rotate players. They also play DJ! You get a private, padded turf field, with an attached penalty box that puts the spectators right on top of the fun! Perfect for pictures and video, plus its hilarious to watch! 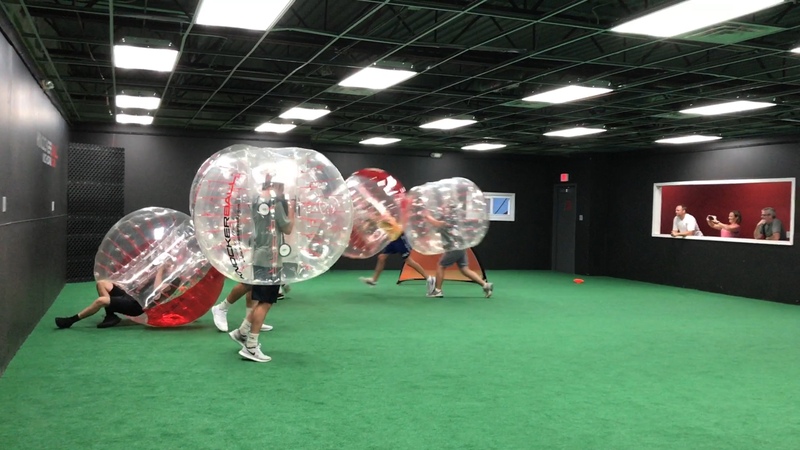 A spacious party room is available as well for an additional $49 for 45 minutes with any Knockerball package. Please fill out the form at the bottom to start booking your event! Or text or call us at 734-223-2819 with all the info from the form below! To book our field, fill out the form below! We will respond ASAP! Add Mega connect 4 to your party for only $79! Just mention when booking!